Santa Monica Press, 9781891661310, 312pp. 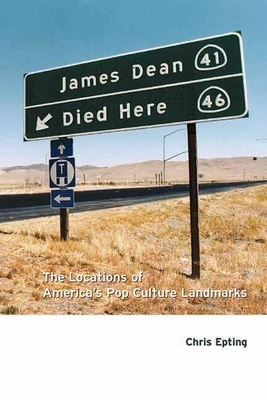 Offers a guide to the locations of significant popular culture events, including the crash of the Hindenburg, the Saturday Night Fever disco, the first MacDonald's location, and the American Bandstand studio. After 18 years in advertising as both a copywriter and creative director, Chris Epting opened the Surf City Advertising Company in 2001. He has created and written many popular advertising campaigns over the years for clients such as the Los Angeles Times, the Los Angeles Clippers, IHOP, CompUSA, Robbins Bros, and many more. Chris is the author of and photographer for the historic pictorials Images of America--Huntington Beach and Images of America--Los Angeles Memorial Coliseum, both published by Arcadia. Originally from New York, Chris now lives in Huntington Beach, California with his wife Jean and their two children.